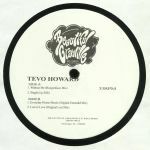 Review: Tevo Howard was a new name when he originally dropped Without Me on his own label Beautiful Granville back in 2008. 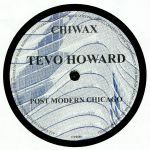 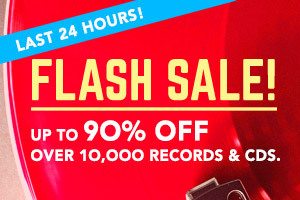 Since then the US house music hero has graced labels as respected as Rush Hour, Permanent Vacation and Buzzin Fly with his warm, charming and deceptively simple confections, but in the swirl of the considerable catalogue Howard bas built up in the past eight years it's a welcome treat to wind things right back to the beginning. 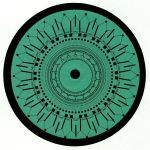 This reissue of Without Me serves as a potent reminder of the gift the man has for heartfelt melodies and unfussy compositions that speak a pure and instinctive message from beginning to end. 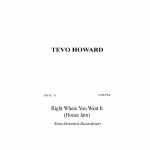 Review: RIGHT WHERE YOU WANT IT (House Jam) is a track about putting the things that you want in your life where you want them to be, and taking the time to enjoy getting things right in the pocket.